The Livestock Sale Bill will be available for download during fair week. All sale animals must be enrolled as a project and owned by an active Union County 4-H or FFA member. All animals will be weighed at the time and place determined by the livestock sale committee.Weight of the scales will be considered the official weight for the show and sale. The first time weight will be considered official. Animals will not be weighed a second time. All animals must be fitted and be able to be shown by the exhibitor at the show and sale except in case of illness or accident. All animals must be fitted using only soap and water for the show and the sale. Animals must be clean when arriving on the fairgrounds. Animals not clean will not be allowed to stay on the fairgrounds. Dress Code – In an effort to maintain a positive public image, exhibitors must wear dark colored pants or jeans and a collared shirt with sleeves, tucked in the pants and no bare midriff. Leather shoes are recommended. Individuals not following the dress code may be removed from the ring and will not be allowed to sell their animals. A maximum of four livestock units may be sold at the sale. Champion animals must be sold. Exhibitors showing more than four livestock units must inform the Livestock Chair which units will be sold. If notification is not received by 9:30 pm Tuesday during fairweek, the units will be limited to 4 and filled in the following order: Rabbit Meat Pen, Market Steer, Heavyweight Market Swine, Heavyweight Lamb, Lightweight Market Swine, Lightweight Lamb, Dairy Beef, Market Goat. Exhibitors that do not want to sell a particular unit of livestock must inform the individual in charge of setting of the sale bill (MHS Vocational Ag Dept) by 9:30 pm Tuesday of the fair. Any and all outstanding entry and sale fees must be paid by this time. Owners of any livestock units listed after the sale bill is printed and not sold will be charged a fee of $25. This fee will be waived for animals that are sick or injured. A commission will be deducted from the owner’s sale check to cover all sale expenses and those required by the government. Buyer contact forms must be submitted to the Union County Extension Office by July 15 (or the next business day if the 15th is on the weekend). 4H-FFA members showing market animals must provide 4 buyers, with no more than 2 duplicates per family or they will not be permitted to participate in the Livestock Sale. No livestock sale checks will be distributed until all livestock sales are finalized. It is the responsibility of all 4-H & FFA members to load their project animals for hauling following the sale. if the member cannot be present at loading time, he/she must secure a representative to load his/her project animals. 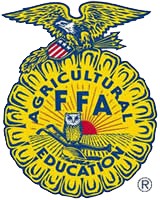 An exhibitor meeting will be held on Monday of the fair at 3:00 pm in the Livestock Show ring. All exhibitors, youth, parent(s) and adults involved in the livestock show are required to attend. The sale order will be all champion animals in the following order: Rabbit Meat Pens, Market Steers, Dairy Beef, Market Swine, Market Lambs,Market Goat. Following the champions, the remaining animals will be sold in the same species order. Animals not within the listed weight range will not be sold at the sale. if there is a buyback price for animals outside the sale weight range, the owner may accept the buyback price within one hour of the end of the sale. Buyback price will include the pickup fee for the animal. Any livestock owner not taking proper care of their animals on the grounds will not be allowed to sell their animal. The owner will be charged for caring of the animal or its removal from the fairgrounds. Any special rules adopted by the Pennsylvania Department of Agriculture will supersede the above rules. The fair has the right to change/remove numbers from an eartag, when there are duplicate numbers shown. Exhibitors that are not present at time of sale order with animals will be skipped and animals will not be sold in the livestock sale. Exhibitors will then pay the $25.00 fee for livestock units listed after the sale bill has been printed. This rule will be waived if the exhibitor has made prior arrangements with the superintendent for exceptions that may include: 4-H/FFA activities, college orientation or activities, illness or accidents, or unexpected animal problems where exhibitors may need to assist in the sale ring. PLEASE NOTE: Buyers must settle for purchases Friday night following the sale.